The two men met for the first time in 1852 — and the rest, as they say, is history. 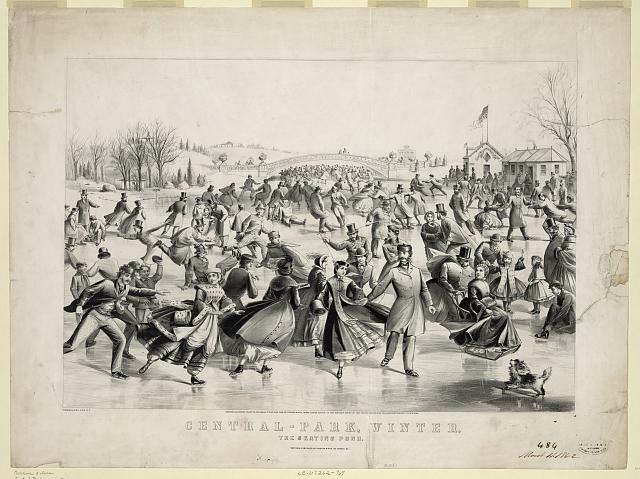 Persistently used for greeting cards and more,3 avidly sought after by collectors,4 Currier & Ives lithographs are among the truly iconic images of an America gone by. And more than 1,600 of those images are available online, free for the taking, at the website of the Library of Congress. Including several The Legal Genealogist, for one, wouldn’t mind using for holiday cards and greetings… or to illustrate a blog post. 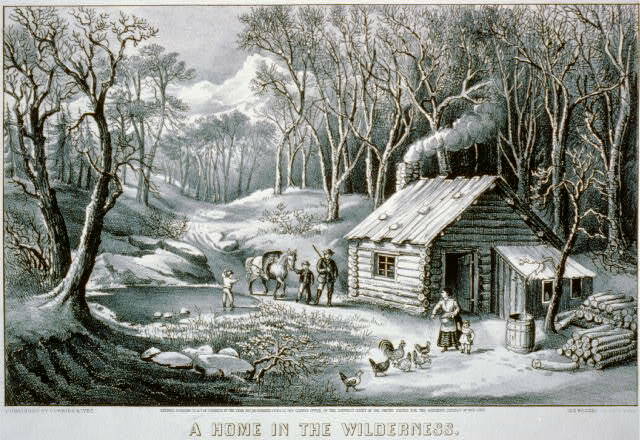 All Currier & Ives lithographs were published before 1923. So they are all out of copyright, all in the public domain. You are most welcome! Isn’t the Library of Congress terrific? I agree. Great photos, Judy – thanks for showing several lovely photos from the collection. I’m heading over to drool over a few myself! Cheers. It’s always such a pleasure to come across great resources with few restrictions, Celia! Hope you find some images there! This has become one of my favorite blogs . It’s one of the very few I actually subscribe by email because I never want to miss what you are up to! The articles are always thought-provoking and fascinating. Since your article on copyrights , I started rechecking all my blog posts and also now started sourcing my articles. I clearly have some work to do. 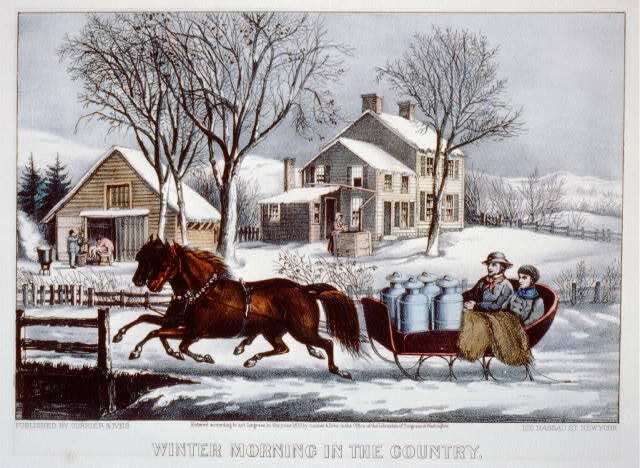 Thanks for posting these Currier & Ives Illustrations. In the breakfast room at my childhood home, my Mom found Currier & Ives prints (from an antique magazine ??) and framed them so I was surrounded by these beauties of Currier & Ives every morning. I do not know what happened to those pictures but I love looking at them here on my computer. Merry Christmas, Judy . Thanks so very much for the kind words, Magda! Much appreciated. Rebecca, I am looking at the images in digital format, which means they’re relatively low resolution and I’m certainly not in any position to discern an original from a copy. You’d need to consult an art historian. Perhaps you could speak with the art department in your local community or state college and get a reference to someone who would be better able to help. Good luck to you. 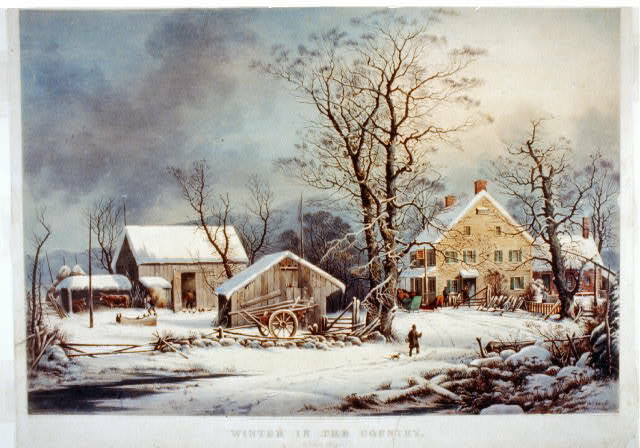 Why would a Currier &Ives with the goverment copyright notice,NY address and published by Currier&Ives Homestead Winter have an HFA copyright mark within the lower left side of print itself? Where did you see this, and what is HFA?